New information has come to light on the man whose violent threats forced a Malaysia Airlines flight to return to its point of departure shortly after take off on Wednesday. 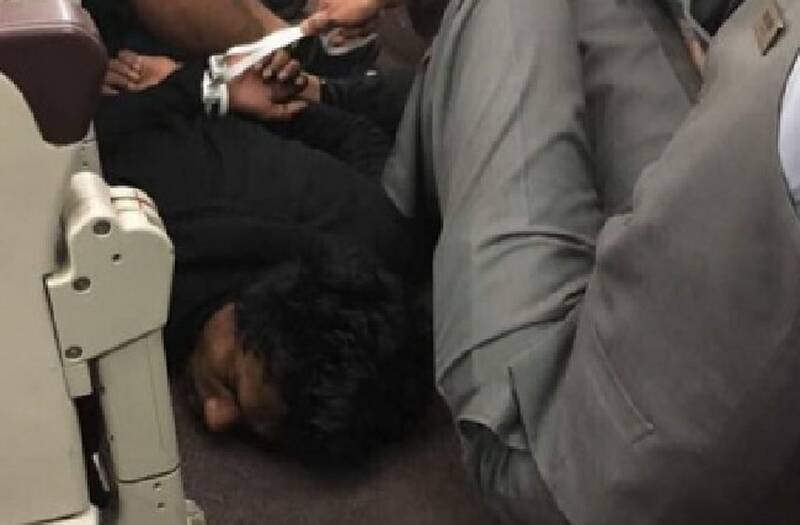 Manodh Marks, a 25-year-old student from Sri Lanka, caused panic on Flight MH128 from Melbourne, Australia, to Kuala Lumpur, Malaysia, when he tried to run into the cockpit carrying what Victoria Police Chief Commissioner Graham Ashton described as a "speaker-type device." One eyewitness told ABC Australia that Marks was also screaming, "I'm going to blow the plane up, I'm going to f***ng blow the plane up," during the ordeal. Fast-acting passengers and crew members were able to tackle Marks, using belts to restrain him until the plan safely returned to Melbourne's Tullamarine Airport, where he was apprehended by airport security. After the arrest, police learned that Marks apparently had a history of mental illness. The passenger had reportedly been under psychiatric care at the Monash Medical Centre up until Wednesday, where he booked his plane ticket right before being discharged. Malaysia Airlines announced in a statement that it would be investigating the incident with Australian authorities, stressing that the flight had not at any point been hijacked. Victoria Police later confirmed that the incident was not being treated as an act of terrorism.